It's All My Boyfriend's Fault! I’ve been in my unit for almost 11 months now, and I don’t have a single solitary piece of anything hanging on my walls, let alone art. It’s a BIG, blank, white canvas. Don’t get me wrong - I have pictures that I could display, I just haven’t figured out my furniture placement yet, so I haven’t bothered to hang any of it up. The likelihood of my furniture (what I have) changing locations is fairly high, which means any art I did hang would probably have to move - this would require pulling the nail, patching and then painting the wall, and who needs that kind of extra work? Not I. It all started innocently enough. 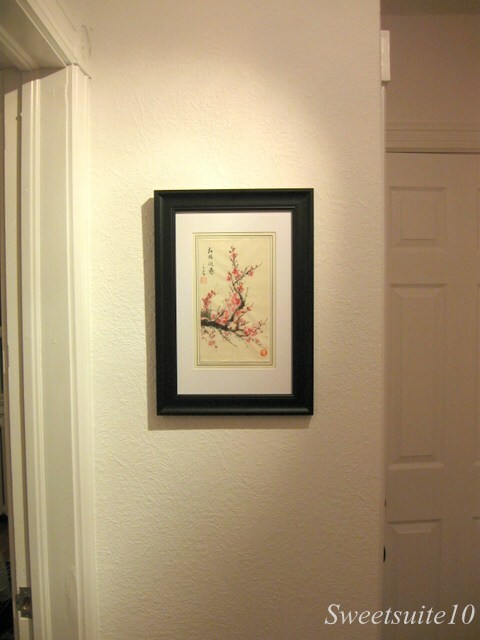 For Christmas my boyfriend - let’s call him D, gave me framed painting of apple blossoms that he’d purchased on his fall trip to China. I really like my gift and, wanting to show him how much, I decided I’d immediately figure out where I was going to hang it. 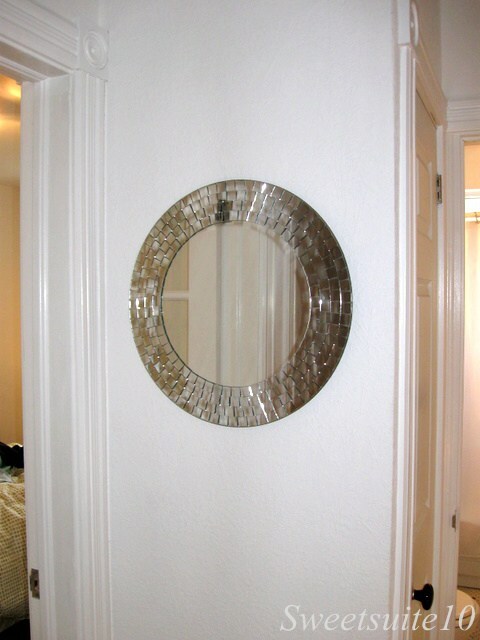 When I moved in I was pleased to discover that the previous owners had left a round mirror hanging on the small wall in foyer that’s immediately opposite the front door. While the mirror isn’t really my style, it at least gave the impression that I had made an attempt to personalise my apartment (plus it allows me to make sure I don’t have anything in my teeth before I head out the door). This, I decided, would be the ideal spot for D’s picture – it fits perfectly on the wall, and you see it as soon as you walk into my home. 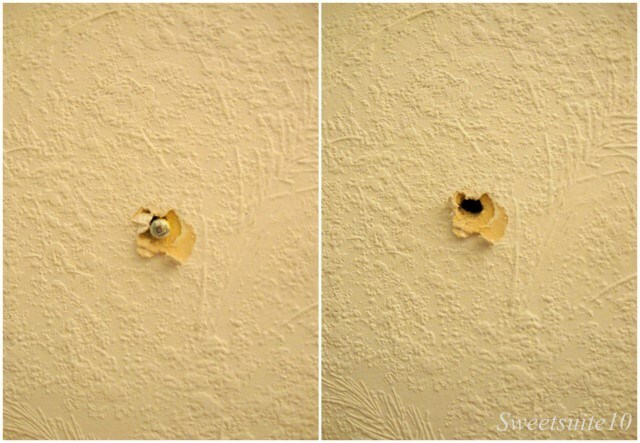 Plus, as there was already something hanging there, I wouldn’t have to actually be responsible for putting a hole in the wall. Yes, that’s right, the mirror wasn’t left there because the previous owners forgot it or didn’t want it, it was left to disguise the fact that they had tried to yank a screw out of the plaster and made a hole the size of a Toonie (For non-Canadians a Toonie is our $2 coin which has a diameter of just over an inch). Anyways, being the gung-ho fixer-upper that I am, I immediately put the mirror back up on the wall and tried to forget the blemish I’d discovered. As I’m sure you’ve figured out, my attempt to ignore the hole in my wall was unsuccessful. I decided that if I was going to be serious about turning my condo into a home I would have to start with some sort of small project. This, I decided, would be the small project – how much work could patching a wall be? The foyer has been wallpapered with some Anaglypta paper which I quite like, and have no intention of removing. 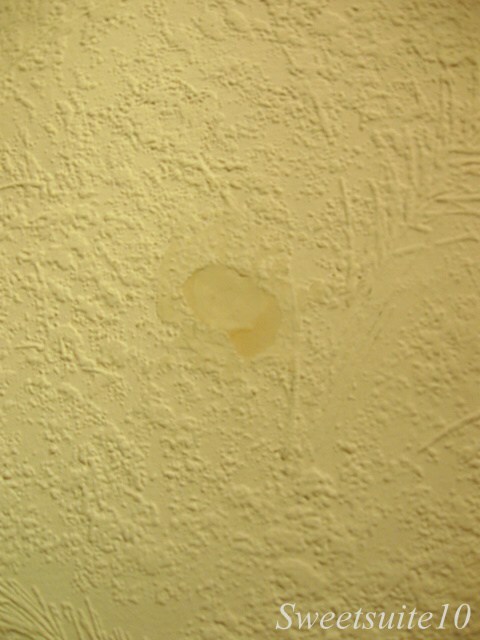 Properly patching a hole in plaster requires the applying of filler, and then sanding it down smooth so the patch is undetectable. Obviously with the paper on the wall I wasn’t able to sand it down properly, but I think I made a valiant effort. I’m honestly not all too concerned with the rough surface as I fully intend to cover the blemish with D’s picture. 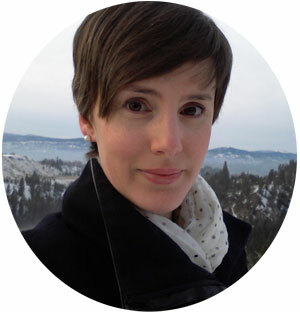 I though this would be the end of my small project – I was sadly mistaken. Filling the hole had left a few marks on the paper, which while minor, were quite apparent when you’re standing a foot away from them analysing your handiwork. The wall would have to be painted, and if you paint one wall, so must the others be painted lest they look like a paint chip with four slightly different shades of white. Of course, once I decided that the walls would have to be painted I realised that the ceiling would have to be done too. The ceiling in the foyer has a popcorn finish, and is the only room in the entire apartment to have been bestowed with this honour. 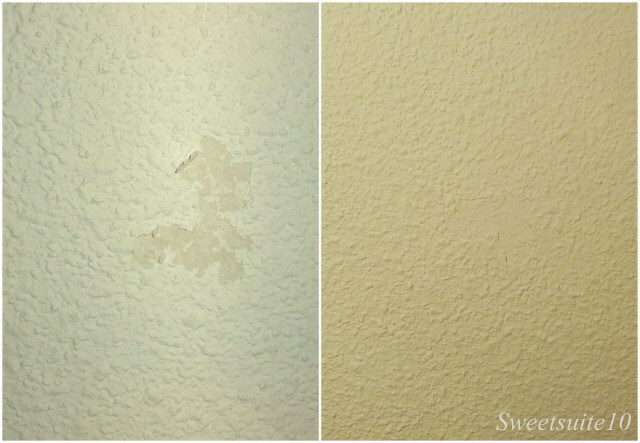 It also hadn’t been painted in many years and now had a decidedly yellowish tinge. I’ve painted many a wall in previous apartments, but this would be my first ceiling. Oh joy. Have you ever heard any horror stories about painting?? I assure you – I experienced them all in the past few weeks. My foyer is only about 5’ by 8’, so it’s not a huge space. I had a half can of ceiling paint which I figured would be sufficient to at least do one coat. I’d heard the rumour that textured ceilings magically absorb paint, but I wasn’t quite prepared for just how much paint could disappear. 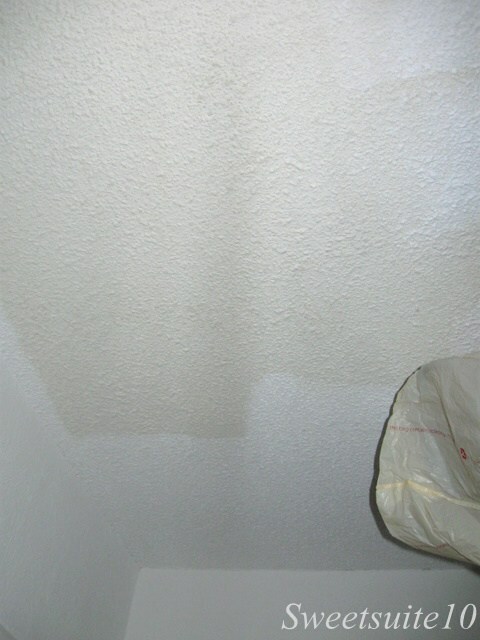 I literally managed to cover only about 25 sq ft of ceiling when my paint ran out. To add insult to injury a piece of the popcorn ceiling the size of a deck of cards fell down leaving me with another conundrum – do I try to patch it, or just paint over it. Having seen some patch work before I decided to just paint the area to see how it looked, and I think that unless you’re looking, you can’t really see it (Thank god!!). As you may remember from my earlier post, my foyer isn't really big but it does have 6 doors. 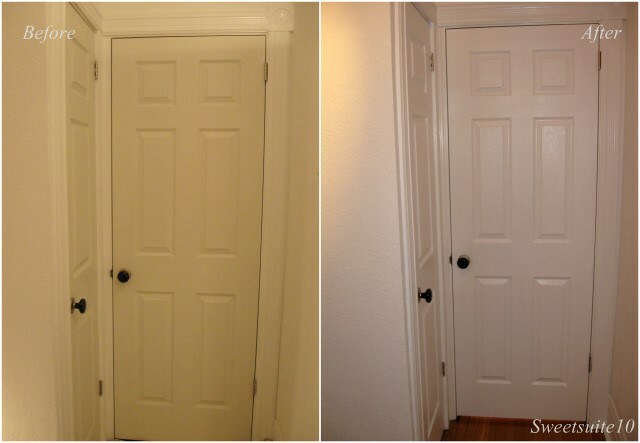 Six doorways do not equal less area to paint - it equals a huge amount of taping, and a lot of cutting-in around moulding and baseboards. Taping and cutting-in equals time. I will admit that I tried to figure out a way I could avoid doing both, but I realised that I would end up spending more time either being extra careful when I painted the walls, or having to repaint if I wasn't careful enough. Sigh. Three of the doors in my foyer are regular store-bought hollow-core doors and unfortunately, once the walls had their rejuvenation it became very obvious that the person(s) who installed them never bothered to paint over the factory primer. The other three doors thankfully didn't need any work - one is my front door which is stained wood, two are single French doors which my mom ever so kindly painted for me last spring. I have to admit that I did take a shortcut here. I'm sure the proper way to paint a door is to remove it from its hinges, lay it down flat, paint and then reinstall it. I left it on its hinges and painted it in place just covering the hinges with tape. I honestly didn't think that I'd be able to rehang the doors by myself, and by this point I was tired of having a paintbrush in hand. There were times when I thought this small little project would never end. It was weeks of having dropcloths underfoot, and doors with no handles. I had to make three separate trips to the hardware store, purchase 3 x 1 gallon cans of paint - one ceiling, one wall, and one trim (which are incredibly heavy when you don't have a car and have to carry them home), a new roll of masking tape, and a smaller paintbrush to reach the wallspace between two door moldings that is only about an inch wide. All that work, and I'm not honestly sure how much of a difference it made in terms of how the room appears. However, while the walls, ceiling and doors may still be white, the piece of art that started this whole adventure has now been hung for all to see, and I think it looks great! Your boyfriend sounds both really intelligent, and incredibly attractive. You are so fortunate to have him! Can you name this chair?